Imagine a patient who needs a lifesaving surgery. Everyone is aware that even if the operation is successful the best the patient can hope for is to remain on mechanical ventilation. However, still alive. Something like that has happened to Greece in the last 24 hours. After a 14-hour 'operation' the machine is turned on and the patient is breathing, though entirely dependent on another's will. The optimistic scenario is that the patient will start breathing on his own in two years and in eight years he will be able to walk. Nobody was ready to discuss the pessimistic scenario after the exhausting night. EU Economic and Monetary Affairs Commissioner Olli Rehn looked tired but relieved, and made the best description of the situation: "In the past two years and again this night I have learned that marathon is indeed a Greek word." The eurozone finance ministers have approved the terms of the second rescue programme for Greece, worth 130 billion euros by 2014. 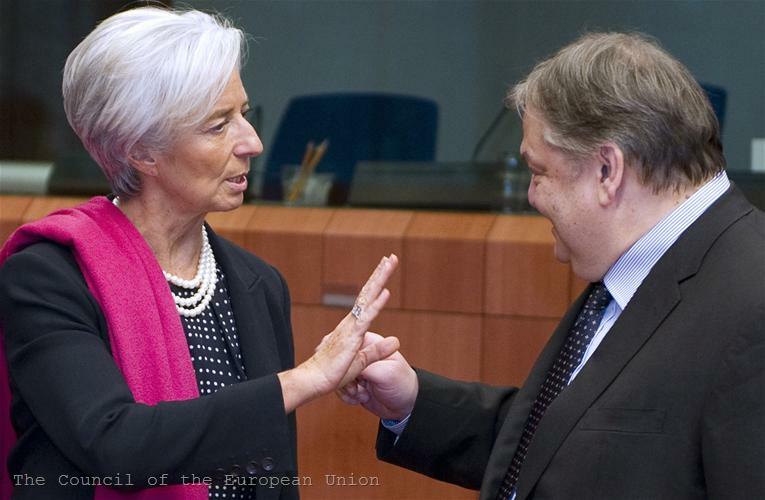 The crucial Eurogroup meeting was also attended by Greek Prime Minister Lucas Papademos, International Monetary Fund Managing Director Christine Lagarde and European Central Bank President Mario Draghi. Unlike the first loan to Greece, when the rescue fund EFSF was not yet established and the eurozone countries gave Greece bilateral loans, the second rescue programme will be funded almost entirely by the fund. At first, even in the next two weeks the EFSF must provide about 70 billion euros related to the debt exchange: a 30 billion euros "sweetener" for the losses of private creditors, 5.5 billion euros for payment of the accrued interest on Greek government bonds, 35 billion euros for collateral enhancement in the Eurosystem, EFSF director Klaus Regling explained. In other words, if during the bond swap Greece is declared in "selective default", which is quite likely, Greek banks will have a guaranteed access to funding in the Eurosystem (the ECB and the national central banks in the euro area). The fund also stands ready to provide money for the recapitalisation of Greek banks, if necessary. The answer to the question how the ECB will participate in the second rescue of Greece is hard to find in the official statement of the Eurogroup and even more difficult to understand. It is clear that the ECB’s profit, generated by its holdings of Greek Government bonds in the last two years, will be distributed to the national central banks in the Eurosystem, and then to the governments. They, in turn, may allocate some of these funds "to further improving the sustainability of Greece's public debt", the statement says. In addition, the eurozone countries whose central banks hold Greek government bonds in their investment portfolios (according to The Financial Times their total value is 12 billion euros) have agreed to pass on to Greece all their incomes from Greek bonds by 2020. It is estimated this to reduce the Greek debt by 1.8 percentage points by 2020 and lower its financing needs by 1.8 billion euros. In addition, the countries have agreed to retroactively reduce the interest on the current Greek loan to 150 basis points, which is expected to bring down the debt-to-GDP ratio in 2020 by 2.8 pp and lower Greek financing needs by around 1.4 billion euros. At this stage it is unclear how much the IMF will contribute with to the second Greek loan. IMF Director Christine Lagarde did not answer the question whether it was true that this time the fund`s involvement would be much less than in the first loan. There was unofficial information of only 13 billion euros, given that the IMF is financing one third of the current loan, worth 110 billion euros. 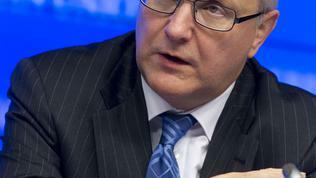 The Eurogroup statement says that the IMF is expected to make "a significant contribution". 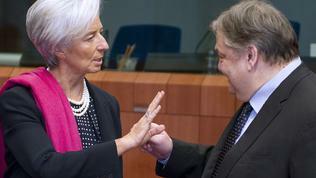 Significant means many things, Ms Lagarde said in her typical veiled style. She declined to comment on the details before the IMF board consider the matter in the second week of March, after the Greek authorities have delivered the prior actions as they promised. The statement of the Eurogroup explicitly says that the successful completion of the deal with the private creditors is a precondition for the final approval of the loan. According to the latest data, the private sector will take a nominal haircut, amounting to 53.5%. The increase compared to the 50% previously agreed was needed after the latest debt sustainability analysis has shown that this haircut would reduce the Greek debt only to 129% of GDP in 2020, instead of 120% as planned. 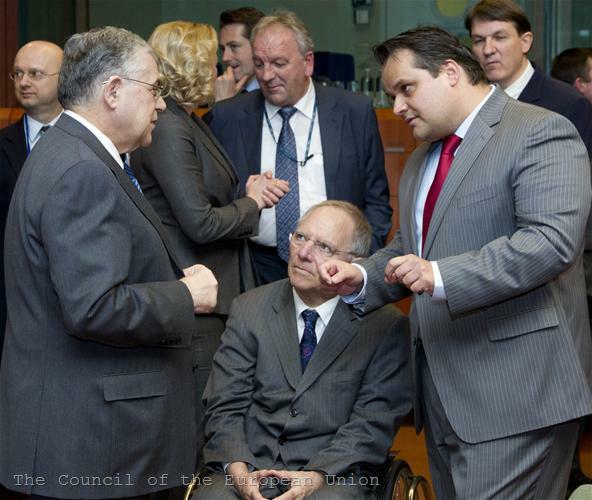 Respectively, the rescue loan would cost 136 billion euros. The pessimistic scenario foresees the Greek debt to reach a record high of 160% of GDP in 2020 if the country fails to implement the reforms and austerity measures. IMF Director Christine Lagarde summarised the situation this way: yesterday we started the day with a debt-to-GDP ratio of 129% and 136 billion euros, and today we started the day with 120.5% and 130 billion, so significant progress has been achieved. In this regard, The Financial Times tells a curious episode from the kitchen of the negotiations. 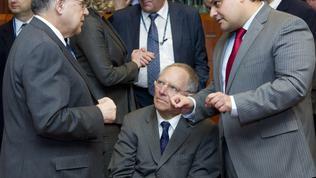 According to diplomats Jan Kees de Jager, the Dutch finance minister, and Wolfgang Schauble, his German counterpart, sent the Greek leaders back to the bondholder representatives, who were nearby in Brussels for an all-night meeting, to agree further cuts at least four times over the course of nearly 14 hours of negotiations. Ultimately, the private creditors agreed to write off 53.5% of the nominal value of Greek bonds, which means a 70% loss on the net present value of the debt. 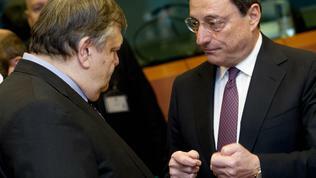 As a result it is expected about 100 billion euros of debt to be written off. Moreover, the private sector have also agreed to lower the interest rates on the new bonds - 2% for the first three years, 3% for the next 5 years and 4.2% thereafter. The bond exchange is expected to begin on 8 March and to last for several days. Though it is not clear how many of the private creditors will take part in the operation, according to the statement of the Eurogroup "a high participation" is expected. Another condition for Greece to receive the money is to honour its prior commitments. They are related to legal guarantees that debt service will be a priority. 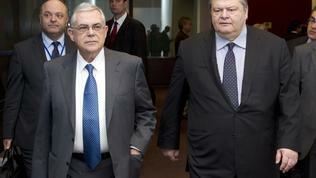 For this purpose, Greece has promised to make a corresponding change in its constitution as soon as possible. Athens has also agreed to allocate funds from government loans and international funding destined to service Greece's debt in a separate account. All this will occur under the increased monitoring of the Troika, which will now have permanent presence in Athens. 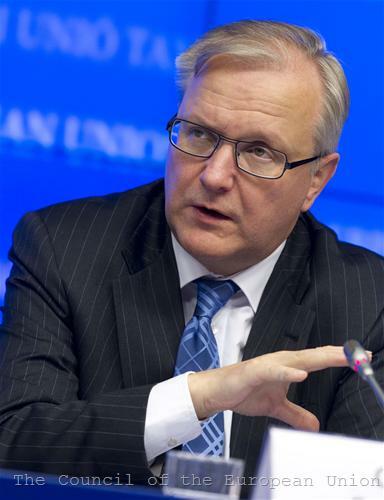 Commissioner Olli Rehn said that the increase of the staff of the permanent monitoring mission in Athens had already been underway. It will also include experts from the Member States because, as Mr Rehn explained, they have specific experience and knowledge in key areas such as tax administration, for example. Apparently the EU has drawn lessons from its experience with the current Greek loan because now any naivety and high expectations are missing. "We underestimated the challenges posed by weak administrative capacity and weak political unity in Greece," Commissioner Olli Rehn admitted. 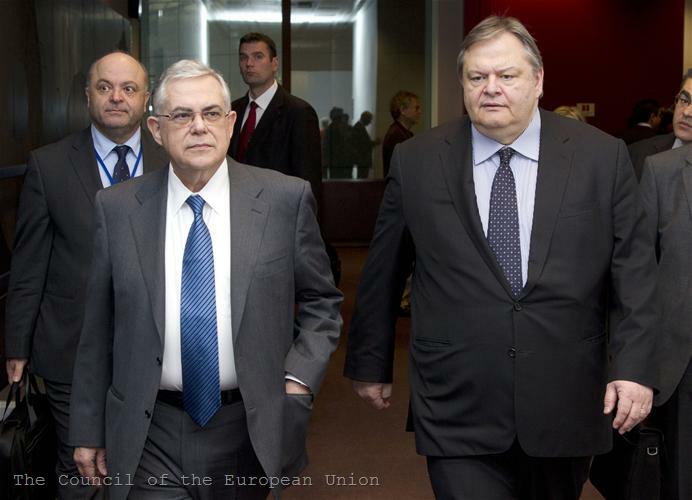 So now, instead of on the enthusiasm and willingness of the Greek side, it is being relied on stronger and constant control by the Troika and the Greek political parties were forced to provide in advance written assurances that they would honour their commitments even after the elections, due in the spring. "We expect that this unprecedented solidarity of Greece’s euro area partners is now matched with a strong commitment by the Greek political leaders to fully implement the programme first and foremost for the benefit of their fellow citizens. It is clear that Greek economy cannot rely anymore on large public administration financed by cheap debt but rather it needs to lean on investment, Greek and foreign, to facilitate new growth and the creation of jobs," Mr Rehn said. To that end it is necessary to improve the investment climate by creating an effective tax system, efficient public administration, using the EU funds and adjusting the unit labour costs (a euphemism for reducing it). The Greek economy, however is in a "free fall". At the end of 2011 it shrank by 7%, and the international lenders expect it to be in surplus already next year. Moreover, against the backdrop of the new budget cuts, amounting to 325 million euros, needed to fill the budget gap in for 2012. IMF Director Christine Lagarde also stressed that unlike the first rescue programme, the second one had a strong focus on competitiveness, structural reforms and growth, which according to the fund was more important to ensure success of the programme. She again suggested that the IMF's decision on its participation in the second Greek loan was related to the decision of the euro area to increase the capacity of its rescue fund. It is expected this issue to be discussed at the European Council in early March, when the leaders must finally approve the Greek programme. 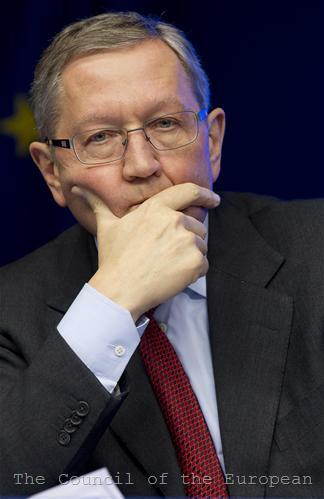 Jean-Claude Juncker, Eurogroup president, said that the leaders would review the 500 billion euros ceiling of both rescue mechanisms, but declined to comment on specific numbers for its increase. 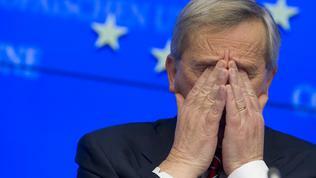 However, Mr Juncker hinted that he expected a positive decision. 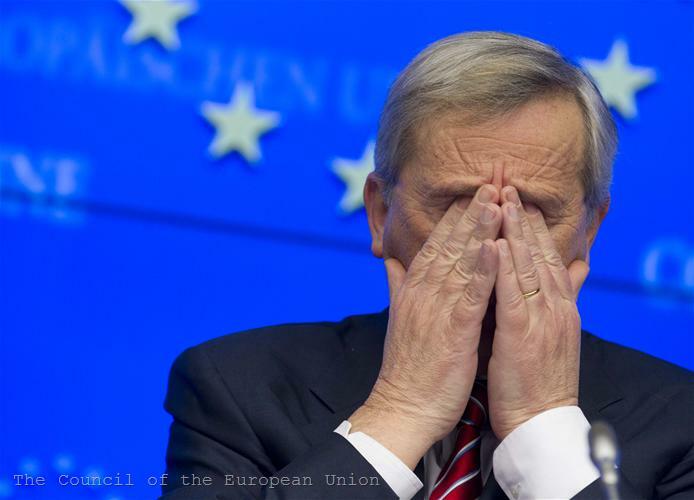 Commissioner Rehn, though, was far more specific: "It should be possible to combine the firepower of the ESM and the remaining amount of the EFSF in order to have a substantially stronger financial firewall than we have at the moment. 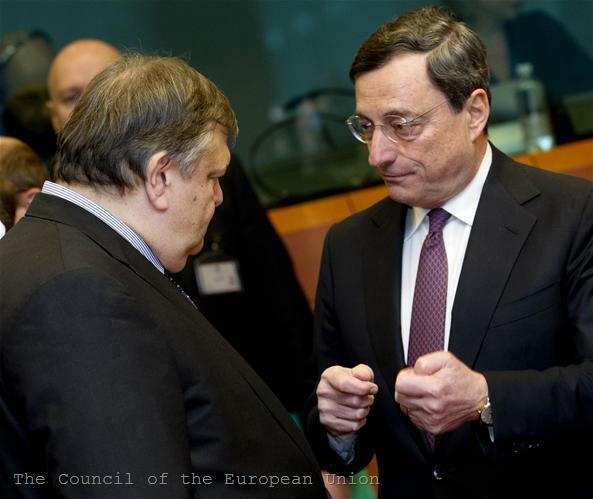 If you calculate you can see the ESM is 500bn euros and the EFSF remainder is 250bn euros." As you know, Germany was strongly opposed to combining the two rescue funds, but recently there are clear signs of a change in Berlin`s position. European leaders resolve to check the debt crisis through austerity, strict budget measures and punitive tax steps will backfire on growth prospects and will have distressing hardship on people in weaker nations .Poverty in Greece has risen to new heights under a gruelling recession exacerbated by austerity that has swelled the ranks of the unemployed, the homeless and the destitute.Greece is in the grip of a four-year recession set to continue next year, bringing the cumulative fall in economic output to 15 percent, according to EU estimates. The state statistics agency said the number of employed had fallen to nearly 4.1 million from 4.4 million a year earlier.Similar resistance and growing unrest in people's mind in Italy is visible .Euro zone's austerity zeal may spread gloomy recession faster to other economies . Can EURO be saved inspite of mismatch amongst nations?? Are we sure euro can be saved from breaking ultimately and if so how? The fiscal union of seventeen nations was a consolidation of uneven economies of different sovereign states. A political association of different capacity nations is one aspect of viability for certain objectives , but it will be too much complicated and difficult to implement and practice in the case of financial merger when nations with different set of financial capacity have to fulfill different needs for their economies and people . It is just like a vehicle having different type of tires; hence it will stop moving sooner or later.And what I assume is that whatever delay is done in understanding this juggernaut and finding a way out will make it that much difficult to cure particularly to fragile nations with lower fiscal strength and deep wounds . Euro zone economies integration is a mismatch ab-initio. Strength and weakness of member nations are so divergent that a mix up may not succeed for long. It is like a water filled tank where the member nations are different holes duly patched up. When water is pressed from external sources the weakest hole gives up one by one, ultimately the tank bursts.What one assumes above is confirmed by more and more analyst, if we see in the reports coming out as below. George Soros, the legendary investor, has warned in a recent interview, while visiting India that the European debt crisis could snowball into a something much bigger than the global financial meltdown in 2008, if it remains unresolved. Soros traced the origins of the euro debt crisis to the time when the euro zone was formed with a currency union and not a political union. According to him, there were flaws in the design of the Maastricht Treaty, the biggest being a false conception of how the financial markets operate. The Maastricht Treaty or the Treaty on European Union was signed on February 7, 1992, by 12-member nations of the European community in Maastricht, Netherlands to create a single European currency, the euro.Another opinion confirms the idea of making the mistake of mismatch among member nations that points out the argument that the single currency would not have sparked the euro zone debt crisis, if the pro-European dynamic that led to its creation had continued into its first decade. Instead of launching an economic and political integration of Europe strongly they sink in using the low interest rates and easy money that arrived with the euro, led by the peripheral states on a path of profligacy, widening the gap with frugal, export-oriented economies of the north. Meanwhile, as rapid enlargement made EU decision-making more cumber some, EU leaders hollowed out the authority of the European Commission, the union's chief executive body and guardian of its treaties and of fiscal probity. Most now admit that after the first few euphoric years, it became clear the euro itself was a flawed concept, laying a single currency over a group of countries that stuck to national sovereignty over their economies.